There are places that expand but stay in one area of the country to the crushing disappoint of people elsewhere. In-N-Out is one example. The east coast wants it so bad the burger slingers pranked New York for April Fool's Day one year. Others are meant to be enjoyed by everyone. 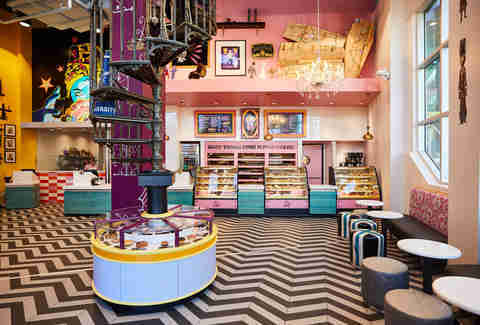 Shake Shack is expanding through California and, now, Portland's Voodoo Doughnut will be making its first appearance on the east coast. However, it's probably not going to become a stop in your morning routine. The first east coast location is at Universal Studios Florida in Orlando. It's inside the "entertainment and dining complex" Universal CityWalk just steps from the iconic Universal Globe. 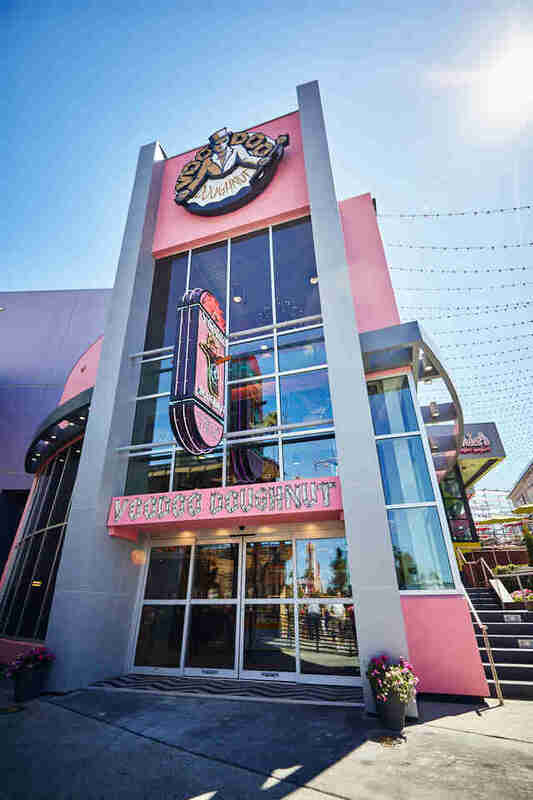 The shop with the recognizable pink doughnut box is now open seven days a week at Universal Studios. One of a handful of doughnut shops known by name across the country, it has a cult following even if Portland natives tell you it's just for tourists. "We used to joke that we dreamed of opening a donut palace, and we’d say things like, 'wouldn’t it be cool to have a water slide in it?' Now there’s one right nearby!" 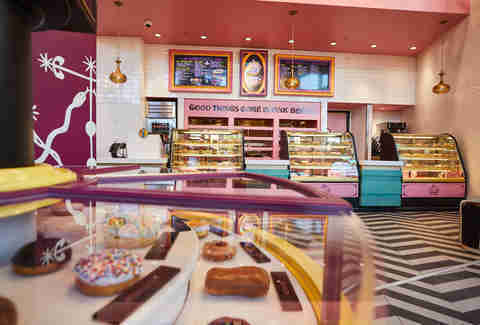 Tres Shannon, a co-founder of Voodoo Doughnut, told Delish. The Orlando location already has Voodoo's signature long lines. The new location isn't officially open, but employees tell the Orlando Sentinel it will be open daily going forward. 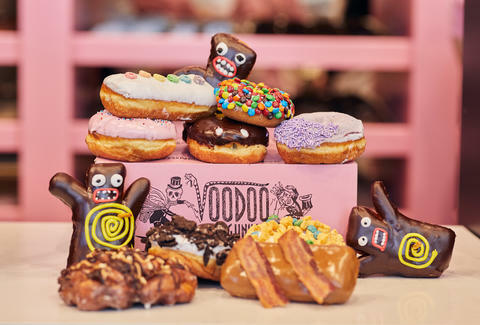 Opened in 2004 and known for unique flavor combinations, Voodoo now eight locations, including shops in Portland, Denver, Austin, Los Angeles, and Eugene, Oregon.